Susan Goldsmith Wooldridge is a poet and teacher who conducts workshops privately, as well as in the California Poets in the Schools program. Her exuberant, critically acclaimed teaching guide takes instructors, writers, and general readers into the very heart and intensity of life and the craft of expressing what one feels through the written word. Susan G. Wooldridge conducts writing workshops privately, through Poets & Writers, Inc., and with the California Poets in the Schools program. She is the author of Poemcrazy: Freeing Your Life with Words, a Book Sense Pick, a long-running Quality Paperback Book Club selection, and a Writer's Digest Book Club selection. 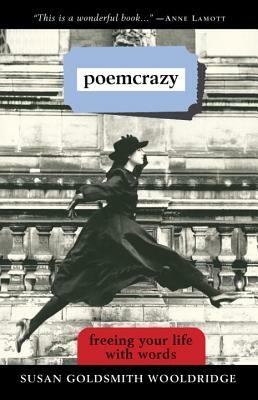 She has also written a chapbook of poems, Bathing with Ants.